Build a fully customizable Email Preference Centers and Landing Pages. Integrated with SendGrid Transactional and Marketing Campaigns. 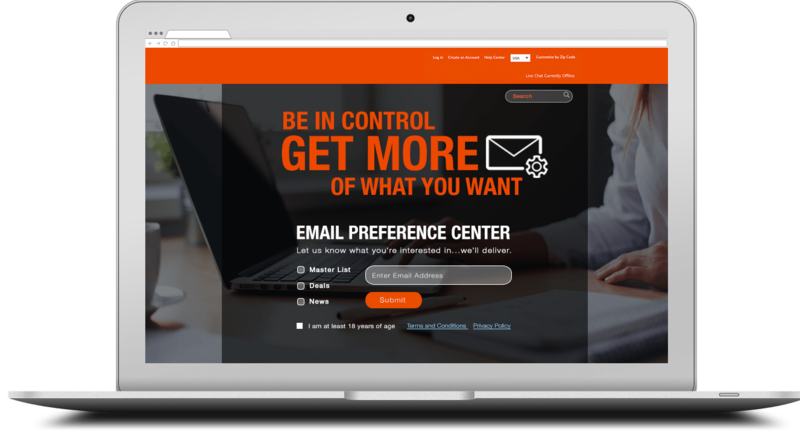 Push Planet is the easiest way to create email preference centers and landing pages that are fully integrated with SendGrid Transactional and Marketing products. When you create an email preference center you can customize the design, add your own custom domain, and set up your lists. Your subscribers will be able to opt-out of specific lists instead of all your lists, which will reduce your unsubscribe rate. On average customers see a 30% reduction in unsubscribes. Create Brand Compliant Email Preference Pages in Minutes! We built the easiest way to create customized subscribe and unsubscribe pages. Our Integration works with any SendGrid account and we can set it up for you at no extra cost. Every customer has a SendGrid integration guarantee!